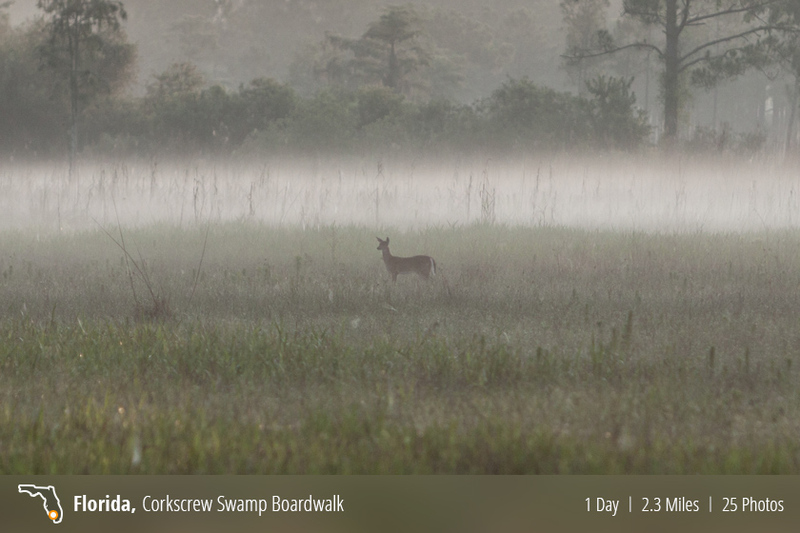 Located in South West Florida, 14 miles inland from I-75, Corkscrew Swamp Sanctuary boasts the longest boardwalk (2.25 mi) in any US park. It’s also home to over 200 permanent/temporary birds and has the largest forest of ancient bald cypress in North America. The Sanctuary is owned and operated by the National Audubon Society which it acclaims as their crown jewel of sanctuaries.